Super fruits, different than standard hybridized fruits, are variations that offer a broad array of nutrients that you can’t typically get from an apple or banana. 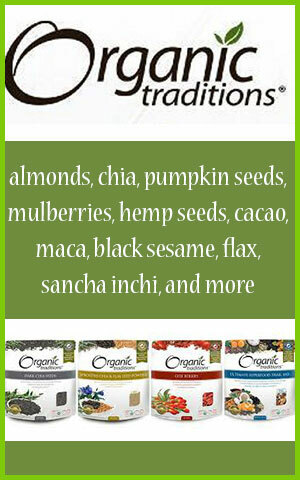 These varieties may contain any number of unique components such as high quantities of antioxidants, polysaccharides and species-specific phytonutrients. Some additionally also offer distinct properties as adaptogens. Many of these types are found in exotic or remote locations and often not available as a fresh fruit, but as a dried version or powdered concentrate. Some, however, like schizandra, goji, jujube and golden berry, can be homegrown in many different temperate climate zones around the world and we are huge advocates of growing your own whenever possible. The term "super fruit", also spelled "superfruit", can be highly marketed and misused as an advertising gimmick, so it is important to be aware of low quality products, like energy drinks and bars, simply using the word "superfruit" to manipulate a sale. 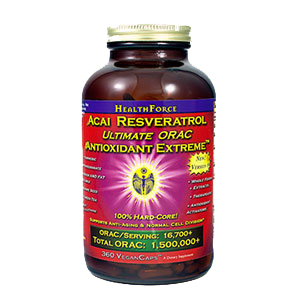 True superfruits contain any one of a number of superior components that provide condensed doses of nutriments that can be particularly helpful for most people living in today's world. They are, in essence, foods for the immune health, providing for both the surface (secretory) immune system and/or the deeper immune functions at root in the bone marrow. 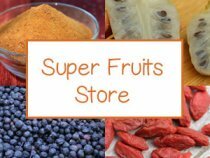 In our view, true superfruits integrated as dietary supplements, along with a health promoting diet and lifestyle, can be utilized as a preventative approach to sickness and chronic disease. 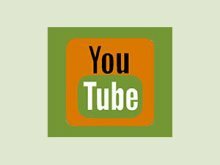 This is the concept of using the foods you consume on a daily basis as your dietary pharmacopoeia to keep you physically nourished and feeling your best. 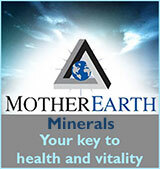 We advise using high quality powders, extracts and concentrates that are created employing low-temp processing techniques to preserve highest nutritive value as well as those that are organically grown and harvested in a ecologically and socially sustainable manner. 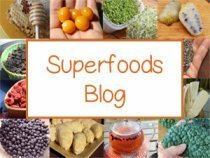 Many super fruit varieties are not as sweet in taste, like traditional fruits you may be used to eating, however they can be some of the most powerful superfoods for fortifying the modern-day diet. Containing a condensed source of energizing ingredients, many can be conveniently enjoyed blended into smoothies and shakes, whereas some are delicious all on their own consumed as a dried fruit or fresh when available. Most super berries and fruits either contain large quantities of antioxidants or encourage their natural production in the body. Consuming dietary antioxidants can be extremely helpful for significantly increasing immune health and our systems response to pathogens we are all invariably exposed to through food, water and atmospheric sources. Today we require more nutritional potency from the foods we eat to balance these high amounts of environmental contaminants and ingested pollutants, from plastics to radiation exposure. It is helpful for long-term wellness to do everything we can do to boost our immune system and shield ourselves against the constant influx of these toxic substances. This produces a highly resilient and adaptable fruit bearing plant that is extremely high in protective nutrients when the fruit is consumed. Superfruits are known to have an intertwining spectrum of antioxidants that may include carotenoid pigments, vitamin C and vitamin E as well as various nutrients helpful for increasing the production of the antioxidants like gluthathione and enzymes such as superoxide dismutase and catalase. 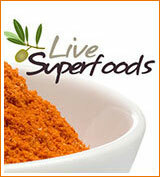 Some super fruits also function as adaptogens, also referred to as rasayanas or energy restoratives. These substances specifically work to increase the body's resistance to trauma, anxiety and fatigue, lessening their long-term impacts by normalizing over-activity or under-activity of the organs and glands. Adaptogens are known to positively influence one or more areas that include sexual virility, athletic ability, heightened energy and physical beauty. These types of super fruit varieties contain their own distinct combination of polysaccharides or long-chain sugars, which provide a long-burning food source, help to detoxify the liver and blood, encourage nerve regeneration and decrease inflammation in the body. Below are our top favorite superfruits in alphabetical order. Acai berry (Euterpe oleracea) is a palm tree species native to the Brazilian Amazon region and probably one of the most well-known of the super fruit varieties. Recently introduced to the western world for its high concentrations of immune boosting antioxidants, healthy fats, dietary fiber and essential amino acids, it is another top superfood option to complement a healthy diet. Acai is a low-glycemic berry known for its high concentration of anthocyanins and other flavonoids and polyphenols which are found primarily in the skin of the fruit. The berries are high in beta-carotene as well as a source of iron and calcium, but are relatively low in vitamin C content. The acai berry itself is a small, dark purple fruit with a thin fleshy pulp surrounding a large seed. In local regions it is used fresh and is particularly popular as a cold soup ingredient, called "açaí na tigela." 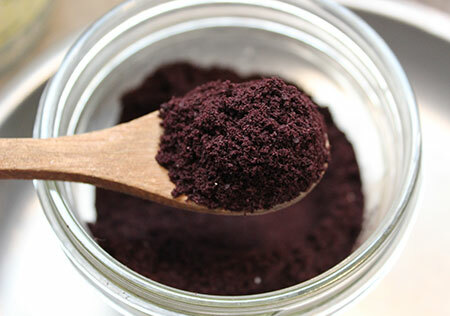 In other parts of the world acai is typically imported as a freeze-dried powder or pure frozen pulp concentrate. 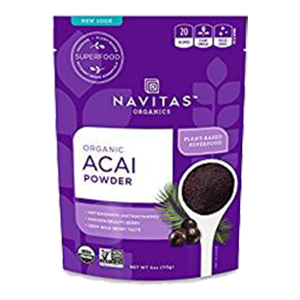 For maximum health benefits, we advise using high quality unsweetened straight acai powders, pulp or juices that are wild-harvested, organically certified and contain no other ingredients. Acerola (Malpighia emarginata), also referred to as Barbados cherry, is a cherry-like fruit that grows in subtropical regions and is indigenous to locations of the Caribbean as well as areas of the Yucatán and Central America. One of the major health benefits of acerola is its significantly high amounts of vitamin C content. 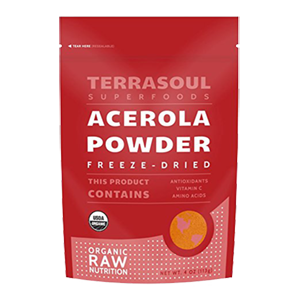 Averaging close to the camu camu berry, one ounce (28g) of raw acerola contains about 470mg or 783% the Daily Value. Powders, however, are more concentrated than the raw fruit pulp with one teaspoon yielding about 800% the Daily Value for vitamin C.
They are not typically eaten fresh, as they have a strong tart taste, but are best used in drinks and recipes. Because they rapidly start to ferment soon after harvest, they are most always frozen for export, freeze-dried or prepared as a powdered water extract. Amla (Phyllanthus emblica), also called Indian gooseberry or amalaki, is a tree fruit native to India. It is traditionally used as an Ayurvedic herb, primarily as a digestive aid and bowel tonic that helps to clear excess heat from the gastrointestinal tract and is beneficial for alleviating constipation. 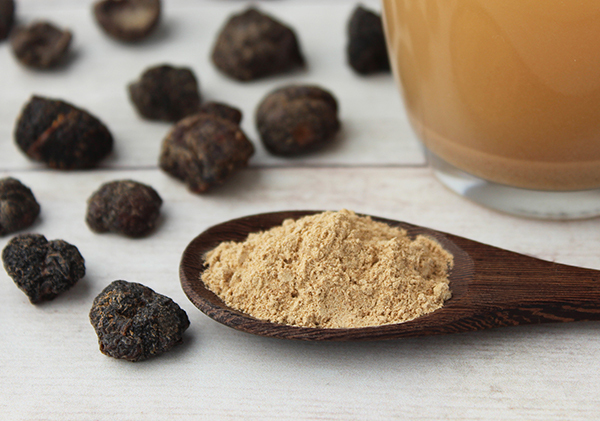 It is a well-known ingredient used in the Ayurvedic mixture of fruits known as triphala. Amla is high in polyphenolic tannins, such as gallic acid and ellagic acid. 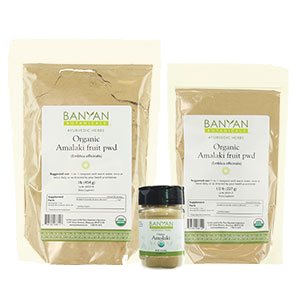 The fruit, typically used as a dried powder, is nourishing to the tissues, helps to remove toxins from the body and is used as a "rejuvenative" herb in rasayana formulas, like chyawanprash. Amalaki fruit is a source of the antioxidant vitamin C and is another super fruit option to consider for increasing daily intake. The powder can be mixed into water, but its sour taste is sometimes preferred camouflaged into blended drinks. Baobab fruit comes from the baobab tree (Adansonia digitata) a long living species native to the dry savannas of Africa. 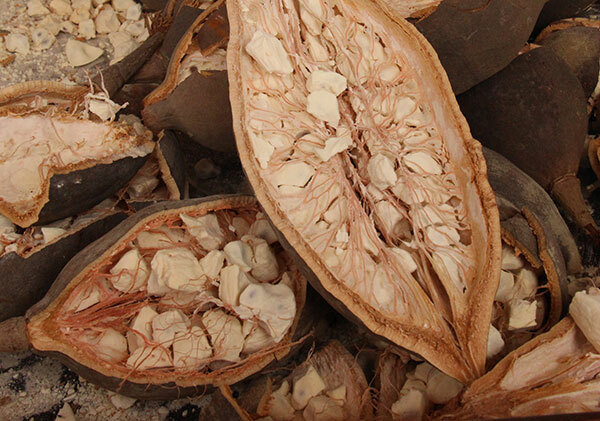 The egg-shaped baobab fruits have a hard shelled exterior, like that of a coconut. The whitish fruit pulp, inside the large pods, naturally dries in the heat of the sun, producing dehydrated chunk-like pieces with a powdery texture and tangy flavor. The pulp is traditionally eaten fresh or dissolved into milk or water with sweetener to create a refreshing drink. In other parts of the world it is used exclusively as a dried powder which can be add to foods and beverages. 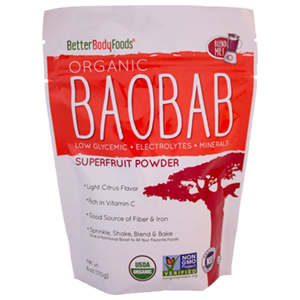 Baobab is a valued super fruit for its antioxidant properties, which include high levels of vitamin C as well as polyphenol content. The fruit pulp is also known for its varied nutrient profile and is especially rich in calcium, in addition to pectin, which acts as a gelling medium. Powders are not only nutritionally potent they add extra thickness to shakes, smoothies and dessert recipes. Camu camu berry (Myrciaria dubia) is another South American Peruvian super fruit that was virtually unknown to the rest of the world until the early 1950's when it was first nutritionally analyzed by Peruvian health authorities and scientifically acknowledge as one of the highest plant-based sources of vitamin C. The skin of the berries is also rich in other antioxidants, specifically beta-carotene and anthocyanin. Consuming camu camu berry is known to benefit the skin, enhancing collagen levels that tighten and rejuvenate skin elasticity. It also offers protective effects on the nervous system and has been identified to heighten brain performance and shield against dementia. The berry is most frequently available in powder form as this is the best way to preserve its antioxidants and nutrient content. 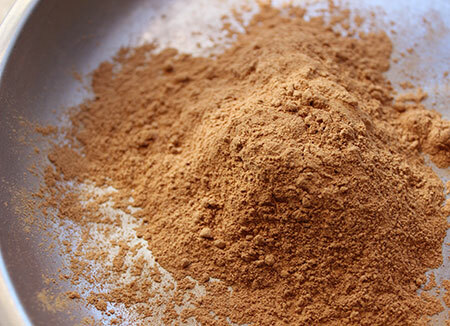 For most quality camu camu powders, it only takes about 1/4-1/2 a teaspoon to meet adult daily requirements. It is important to purchase sustainably-grown products coming from these South American regions to avoid supporting destructive Amazonian forestry and farming practices. Durian fruit (Durio zibethinus) is an exotic tropical species native to Southeast Asia with some unique qualities unlike any other fruit variety. Although they are large, spiky and odd smelling fruits, they contain soft, sweet fleshy pods that are notably high in fat content. 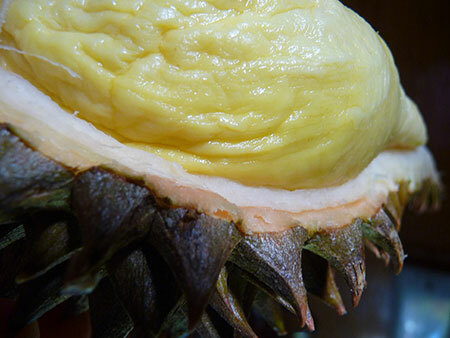 Durian is an energizing food and its high fat ratio helps to slow the release of glucose into the bloodstream, providing a long burning fuel source. The fruit contains high levels of the amino acid tryptophan, in addition to vitamin E. It is excellent for nourishing the skin and has a well known reputation as a powerful aphrodisiac. In some parts of Asia it is prepared with vanilla, milk, coconut and some kind of sweetener. The fruit, however, is not favored by everyone and can either taste sweet and custard-like or it can have a less palatable flavor that is off-putting to some people. 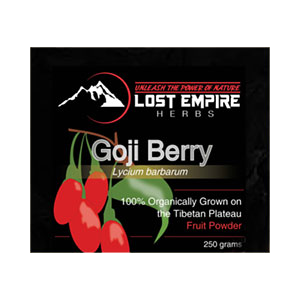 Only recently popularized here in West, goji berries, also known as lycii berries, have been used in Chinese herbalism for centuries and commonly brewed as a Chinese herb with other tonics in herbal tea decoctions. Lycium barbarum is native to China and also grows very well in tropical locations, temperate climate zones as well as in harsh, dry desert regions. 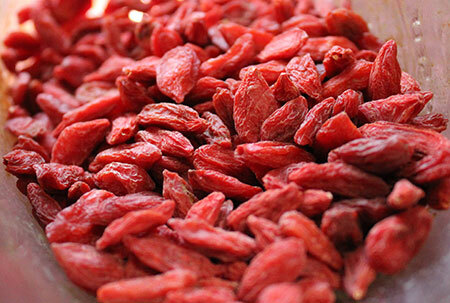 Goji is an adaptogen with high amounts of polysaccharides, referred to as Lycium barbarum polysaccharides (LBP's). These substances fortify the immune system and have shown to be effective in raising the health enhancing antioxidants superoxide dismutase and zeaxanthin. 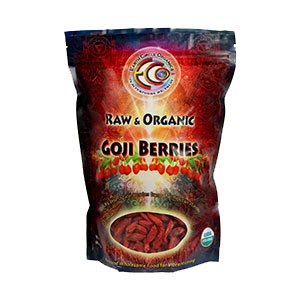 Goji berries are another of our top 10 superfoods and are additionally one of the highest fruit-based sources of beta-carotene and vitamin C.
Golden berries (Physalis peruviana) are a unique South American fruit species native to areas of Peru, Ecuador and Colombia. Producing shiny orange-yellow fruit the size of a marble, golden berries are a now popular dried super fruit known for their higher amounts of antioxidants and unique plant compounds. 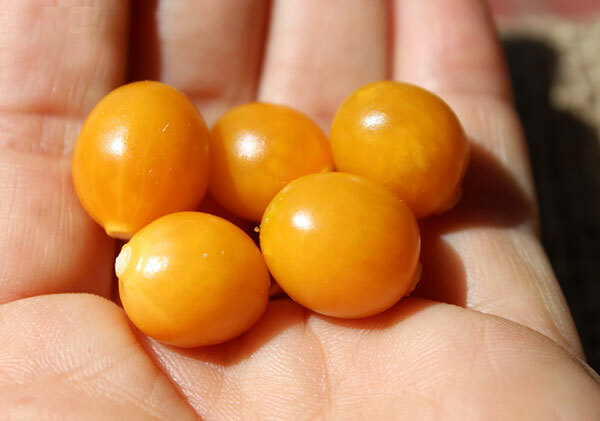 Also called groundcherries, cape gooseberries or Incan berries, they contain certain carotenoids, withanolides and polyphenols, well researched for their antioxidant and anti-inflammatory attributes particularly identified to inhibit the growth of liver, lung and oral cancers. 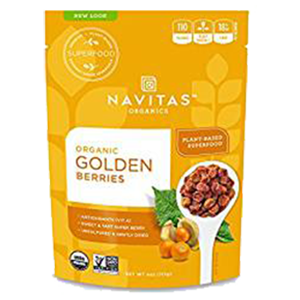 Golden berries are a great source of plant-based vitamin C and are another superfruit variety to consider adding to your diet to help increase daily intake. 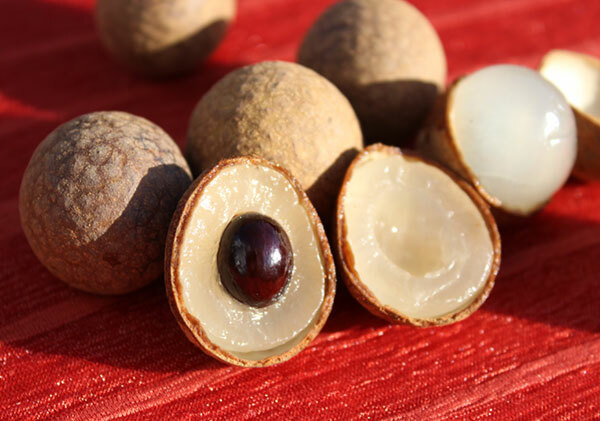 Longan fruit (Dimocarpus longan) is occasionally referred to as "dragon eye fruit", because when sliced in half, the dark seed with fleshy exterior resembles the eye of a dragon. Longan, or long yan rou, is known as one of the "three sisters" or "Chinese beauty berries", along with schizandra and lycium fruit. It is a long-revered tonic superfruit in Chinese herbalism, particularly utilized among women for its beautifying qualities. Working with the Spleen and Heart Yin meridian systems, longan is considered a blood building and energizing tonic herb that helps to support healthy sexual functions. It can be consumed fresh but is also commonly dried to concentrate its beneficial attributes for use in herbal preparations. It is also becoming more popular these days as dried fruit snack. It has a delicious yet very distinct sweet almost smoky-like flavor. 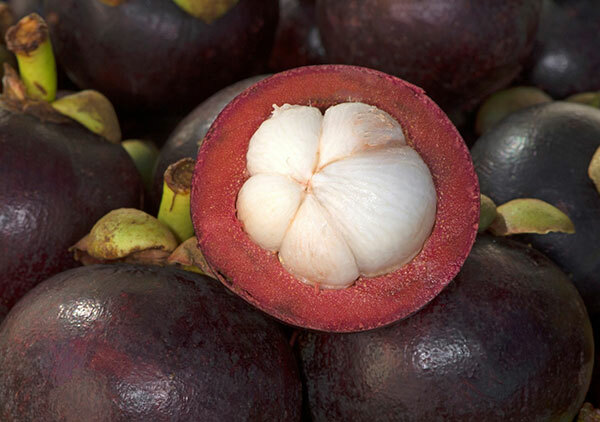 Mangosteen (Garcinia mangostana) is a tropical tree species indigenous to Indonesian island locations and has become a very popular super fruit in recent years due to its high level of antioxidants called xanthones present in the outer rind of the fruit. The primary active xanthone compound, mangostin, is considered an adaptogenic substance that helps the body to natural regulate metabolic and immune functions and is known to exhibit a calming effect on the central nervous system. Also used for its effects as an anti-inflammatory and anti-bacterial agent, the rind of the ripe purple fruit additionally contains other xanthonoid constituents such as gartanin, normangostin and 8-disoxygartanin. It is also a source of vitamin C and beta-carotene. Highest quality mangosteen is available in most parts of the world as a raw low-temperature dried powder or extract usually consisting of a combination of both the rind and fruit or the rind exclusively. 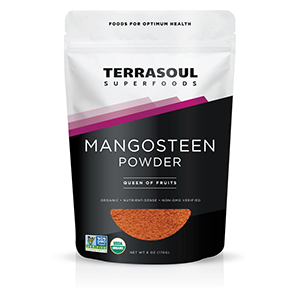 Some mangosteen products are standardized to contain at least 10% mangostin and 25% flavonoids per a 1/2 teaspoon serving size. Maqui berries (Aristotelia chilensis) are a wild growing species native to South American and the Patagonian mountain range of southern Chile, bordered by both the Atlantic and Pacific oceans. This is a region made up of sparsely populated valleys free of pollution and abundant in rich volcanic soil. 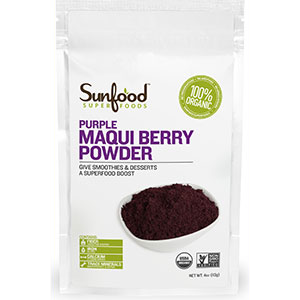 Maqui is most well-known for its high levels of the antioxidant flavonoid pigment referred to as anthocyanin. It also contains other health enhancing compounds like delphinidins, triterpenes, malvidin, petunidin, quercetin and various flavonoids. 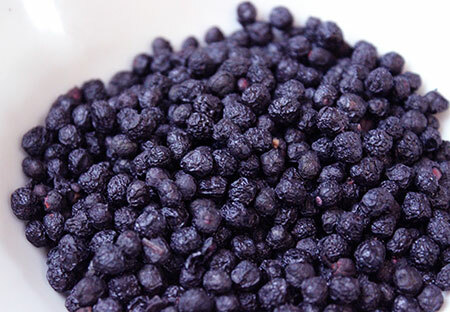 The berries are commonly available as a whole dried fruit or as a freeze dried maqui berry powder. The berries are not as palatable as other dried fruits, so it is best to grind them as a powder or used them whole in blended recipes. 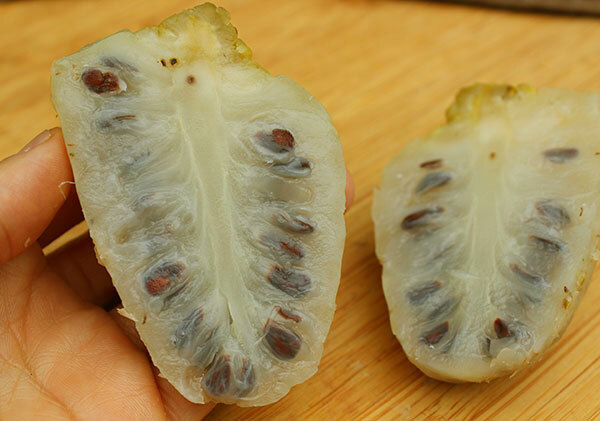 Noni fruit (Morinda citrifolia) is a tropical super fruit variety used extensively by the Polynesian people for its many diverse health enhancing properties. As an immune booster, anti-inflammatory, digestive aid, mood uplifter, skin healer and overall beautifying agent, it contains a wide spectrum of beneficial substances including polysaccharides, polyphenols, flavonoids, iridoids, terpenes, glycosides, alkaloids, like xeronine, as well as anthraquinones. Compared to other super fruits, it is a low sugar fruit variety with a less edible pulp that is typically juiced or is traditionally fermented to release its juice liquid over several days or even weeks. 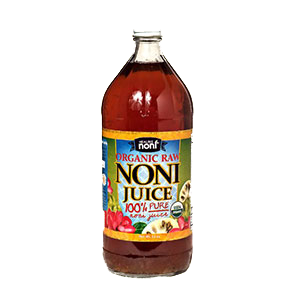 It is also sold as a freeze-dried powder extract as well as an unpasteurized fermented juice concentrate where fresh noni is unavailable. Used as a dietary supplement, it has shown to be helpful as an analgesic for pain management and is reported to exhibit immune regulating activities useful for conditions like chronic fatigue, fibromyalgia and other immune deficiencies. 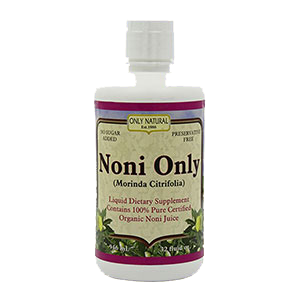 Noni is also a potent antimicrobial and antifungal when used topically for skin issues. 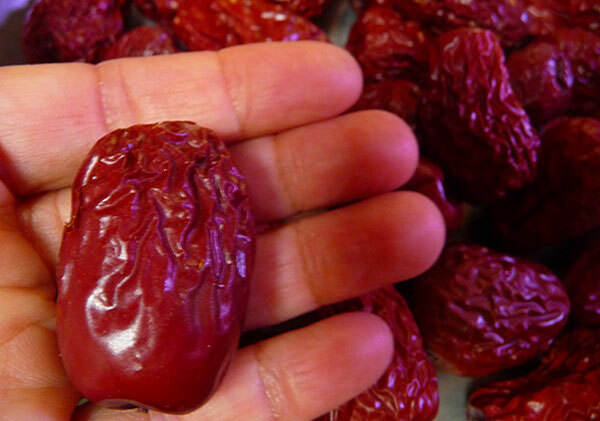 Red jujube dates (Zizyphus jujube), also called red dates, are indigenous to South Asia and used extensively in Traditional Chinese Medicine. 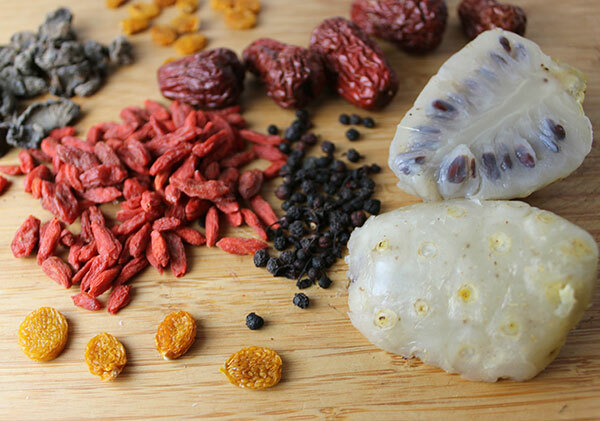 Used specifically in Chinese herbal medicine for their ability to "clear the 5 openings" which include the eyes, ears nose, throat and sinuses, they are a blood cleansing fruit known to regulate fluids, appropriately drying up excess mucus or moistening the tissues when needed. 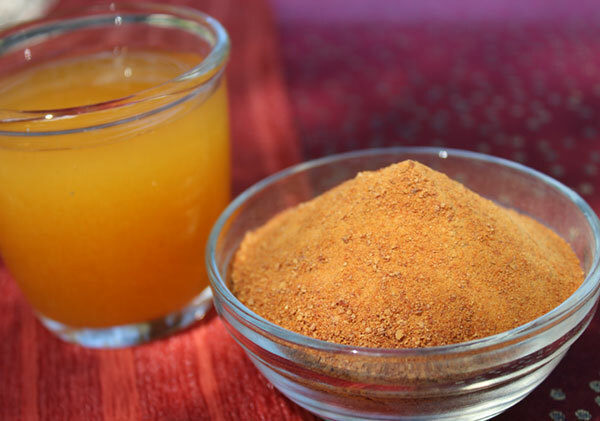 Jujube is also considered useful for toning and purifying the stomach, the body's center and earth element and is especially suitable for neutralizing the fiery nature of Yang herbs, like ginseng. Exhibiting energizing effects with adaptogenic immune boosting attributes, the dates are viewed as a Chi building substance with mild Shen-like qualities, beneficial for strengthening the musculature as well as calming the mind. 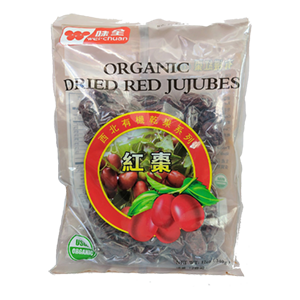 Jujube's can be eaten fresh but are commonly used dried and brewed with other Chinese herbs to help harmonize and balance herbal formulations. They can likewise be incorporated into soups, cooked meals or consumed as a raw fresh or dried fruit. 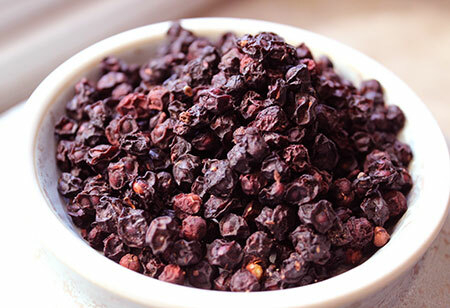 Schizandra berries (Schisandra chinensis) is one of the major tonics in Traditional Chinese Medicine often prized alongside ginseng and reishi mushroom. As an adaptogen, it is deeply nourishing to the immune health and is highly beneficial as a reproductive and energy restorative. It is know to help build, what the Chinese call, "Wei Chi", the protective element and defense shield believed to relate the body's immune response. 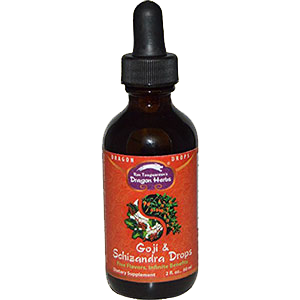 Schizandra, consumed as a tea or hot water extract, also works to purify the blood, improve eyesight and enhance sexual libido. It is additionally well-known for its ability to provide a radiant, glowing youthful appearance to the outer surface of the skin. It contains various antioxidants and lignan compounds including schizandrin, gomisins, pregomisin and deoxyschizandrin. Although schizandra is a berry, it is typically not eaten straight by the handful, but is traditionally simmered as a tonic tea decoction. This helps to release many of its beneficial polysaccharides and triterpenoid saponins. 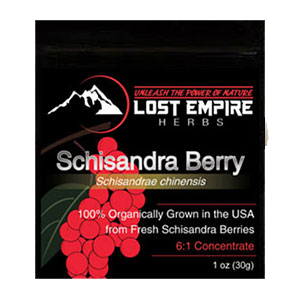 Visit our schizandra berry tea recipes for more information on preparing schizandra or using it with other tonics like goji. Consult your health care provider before consuming super fruit concentrates if you have a serious health condition or are taking prescription medications.